"I'm a very open, passionate person who wears my heart on my sleeve." Hello, internet friends. We're doing this thing again. It's time to meet the Angry Reader of the Week, spotlighting you, the very special readers of this website. Over the years, I've been able to connect with a lot of cool folks, and this is a way of showing some appreciation and attention to the people who help make this blog what it is. 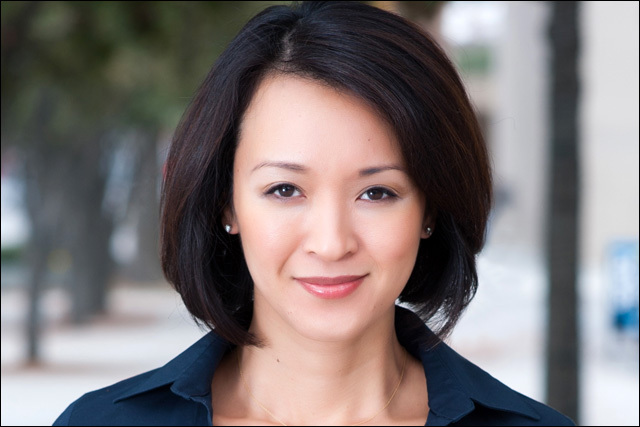 This week's Angry Reader is Tammy Nguyen Lee. 100% Vietnamese, born in Saigon, raised in Texas. I'm TexAsian now, y'all! My husband is Korean American, which makes my children Koreanese American -- so I'm aware of and teach a lot of cultural appreciation to my children. In my heart, I'm French and would move to Paris in a split second if the opportunity came up. Born in Saigon, Vietnam, left as a "Boat Person" when I was three months old, ended up in refugee camp in Hong Kong, sponsored by a church in Maryland when I was 18 months old, moved to Texas when I was five, lived in LA for a few years for grad school and moved back to the Lone Star State when my husband got a promotion back home. That early journey and struggle has very much defined my life, goals and gratitude for the opportunities we have. Now, I'm just trying to live the American Dream. I'm a very open, passionate person who wears my heart on my sleeve, and I probably care too much about virtually everything. It's just not in my Aries nature to sit back and be passive. I advocate for Americans in the arts, igniting others' passions, social/civic/eco responsibility, connecting the community, empowering women, children's rights, helping the underdog, being a good mother and a good human being, having a strong spiritual connection with God and people, living a life of purpose and service with integrity, trying to change the world and leave it a better place. I have to do something, which is the inspiration behind the #beCAUSE campaign (inspiring others to think and act philanthropically in whatever ways small and large). Film, food, fun, family, philanthropy, that's definitely what drives the engine of my life. A lot of things can get me really riled up -- racism, chauvinism, cynicism, pessimism, oppression, not fulfilling your commitments, laziness, selfishness, rude behavior, ignorance, cowardice, excuses, stealing, dishonesty, greed, people who are mean/abusive to kids/to animals/in general, bad parents, those who lack compassion and sensitivity, not doing the right thing/doing things only when you think someone's watching, when I'm hungry. Hopefully, I've tried to find more productive and poised ways of dealing with these issues, but it doesn't always happen. I'm blessed to have family, friends and support there to help me vent, cry, bounce ideas off, figure it out or just "let it go!"